SEATTLE (Reuters) - Days before the numbers are due to be announced, Boeing Co (BA.N) warned that October aircraft deliveries to airlines would be lower than normal as the world's largest planemaker continues to be dogged by supplier delays on engines and other components. Boeing Chief Financial Officer Greg Smith told a conference in Chicago that deliveries would rebound in November and December despite persistent problems with engine-maker CFM International Inc, a venture of General Electric Co (GE.N) and France's Safran (SAF.PA). 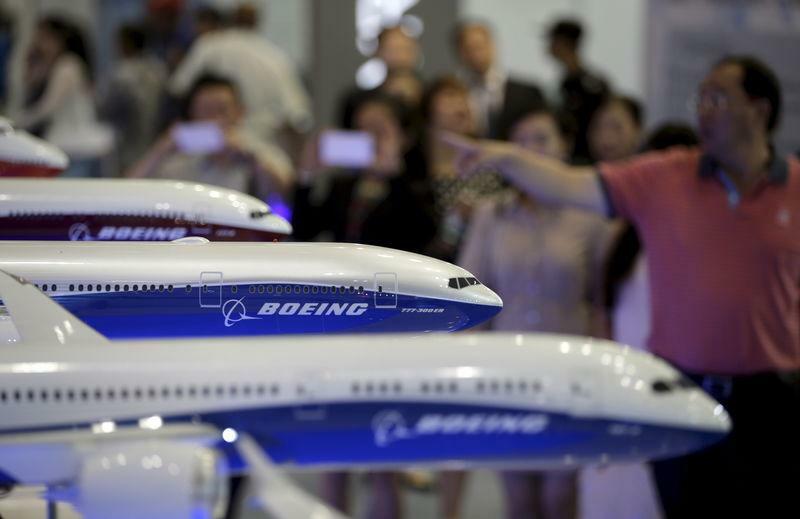 Boeing is expected to release its orders and deliveries figures for October next week. Deliveries are a closely watched metric since that is the point when airlines pay the bulk of the money for a new jetliner. "The deliveries for the balance of the year will be backloaded," Smith said. "You'll see a lighter October than you would typically, and you'll see higher-than-production-rate delivery profile for November and December." Boeing is working through its recovery plan for its best-selling 737 single-aisle jetliner caused by delays on fuselages, engines and other components which created a production bottleneck at its Seattle-area plant over the summer. Smith said the focus now is "on GE and GE supply chain, getting them back on the recovery plan." "We're still not fully recovered and don't expect to until the end of the year," he added. His comments come after the U.S. Federal Aviation Administration issued an emergency airworthiness directive on Wednesday to address how to handle erroneous data from a sensor on the Boeing 737 MAX jet in the wake of last week's Indonesian jetliner crash. Boeing said in a statement that it had alerted pilots to the issue. The FAA said it was mandating that airlines follow the Boeing bulletin. Boeing has delivered 568 aircraft in the first nine months of 2018, as it works to overcome the 737 factory snarls, up from 554 at the end of September a year ago, putting it on track to deliver another record year of plane sales. That keeps the manufacturer, which aims to deliver 810-815 planes in 2018, in front of its European rival Airbus SE (AIR.PA), which delivered 503 aircraft through September this year.